Pork chops are a difficult thing in our house. My husband doesn’t love pork chops and while I enjoy them, I get tired of making the same few pork dishes over and over again. I’m not sure what it is about pork but I have a hard time visualizing new flavors with it. I basically make a fried pork chop, a dijon pork chop, BBQ pork chops, and sometimes stir fried pork. That’s about it. 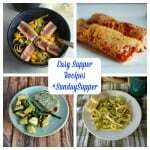 I’m so glad this week Sunday Supper is sharing Easy Pork Chop recipes! I’m hoping to gather a ton of new and exciting pork chop recipes. I like making pork because it cooks up quickly and it takes on the flavor of whatever it’s cooked in. They are fairly cheap which makes them a great choice as well. 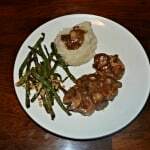 While looking for recipes using pork chops I came across so many smothered pork chop recipes. I like smothering my chops in gravy and with mushrooms or bacon or other flavors. So I thought they were a good idea but I didn’t know what to serve with them. Then I decided that smothered pork chops over top of noodles would be an easy and complete meal. 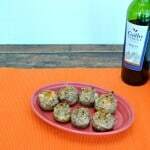 I used boneless pork chops because they cook faster and they are easier to eat. Nine times out of ten I buy boneless pork chops instead of bone in. 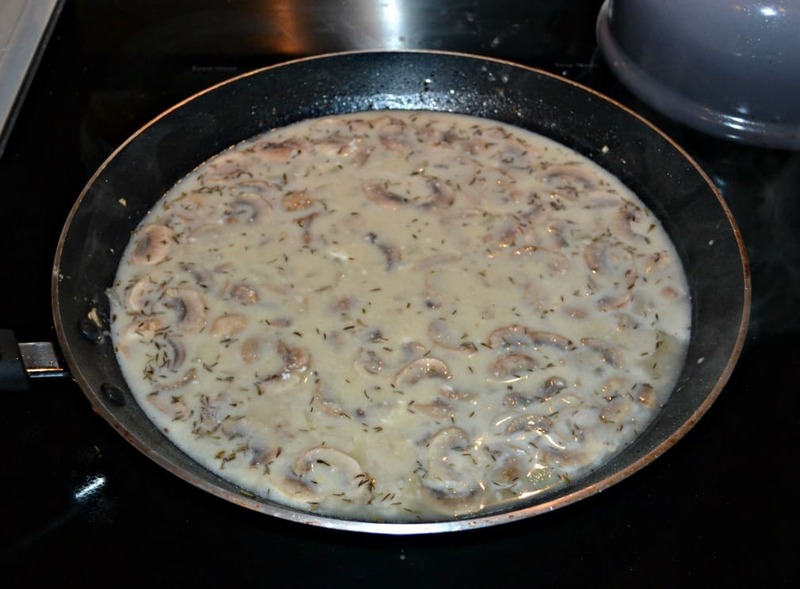 I decided to go with a homemade mushroom gravy to go over top of the pork chops. I know a lot of recipes call for “cream of” soups but making your own gravy is so easy and so much better. After the pork and gravy were cooked I put them over top of egg noodles for a delicious and easy meal. Start to finish this dish takes less than 30 minutes and uses ingredients found in most kitchens. 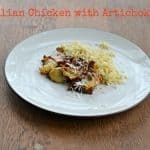 It’s great for a weeknight meal or as part of Sunday Supper. 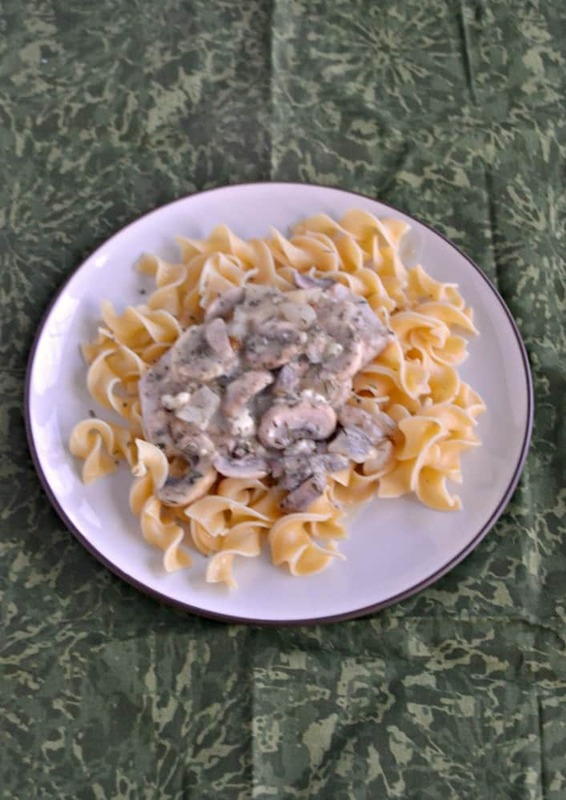 Boneless Pork Chops smothered with homemade mushroom gravy and served over top of egg noodles. Add the pork chops and cook for 3 minutes per side or until just browned. Remove from pan. Melt the butter in the same skillet. Add in the onion, garlic, and mushrooms and cook for 5 minutes. Add the thyme and flour and stir until everything is combined. It will be very thick. Slowly whisk in the chicken broth and cook for 2 minutes. Stir in the heavy cream, sour cream, pepper, and salt and mix until combined. Add the pork chops back in and cook for 10 minutes over medium heat. Remove from heat and serve over top of cooked egg noodles. Pork Chops and Noodles a perfect combo! I will be trying this one for sure! YUM! This is like a pork stroganoff!!! Can’t wait to try! We make something similar all the time. SO good and perfect comfort food. Yummo, Heather. 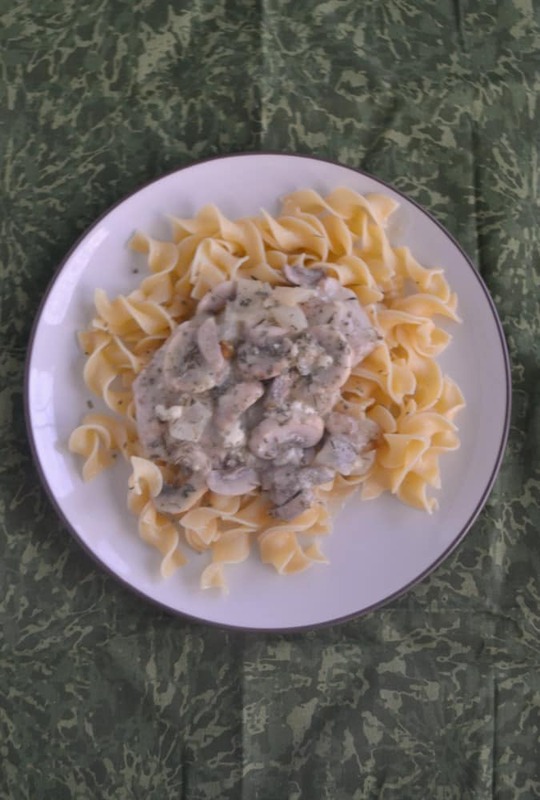 These sound delicious, almost like a pork stroganoff. It really is delicious with noodles! 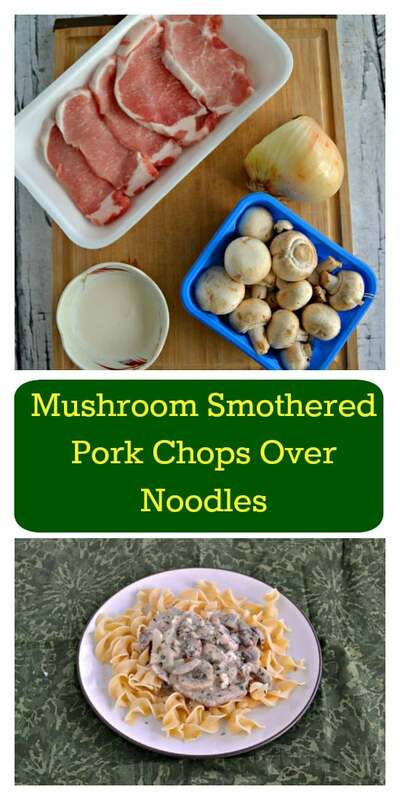 We often ate pork chops over buttered noodles!